Attention, Central CT homeowners: This message is for you, and acting on it can save you money. If you are thinking about hiring a contractor to design and build an outdoor living project at your home, the time to take action is now. First, you have to decide if you want to work with the most professional, high-quality deck designers and builders in the area. If you do, then you will want to work with Archadeck. We don’t just build outdoor living structures, we custom design and build them. While it may sound like a small distinction, it is not. The right design will determine whether your deck becomes a little-used appendage … or your favorite place to relax, grill, dine and entertain outdoors. Yes, we mentioned saving money on your upcoming outdoor living project. If you follow this blog, you know we’ve talked about this before, and always at this time of year. The outdoor living season has peaked and you’ll be spending less time outdoors as it gets colder here in Connecticut. 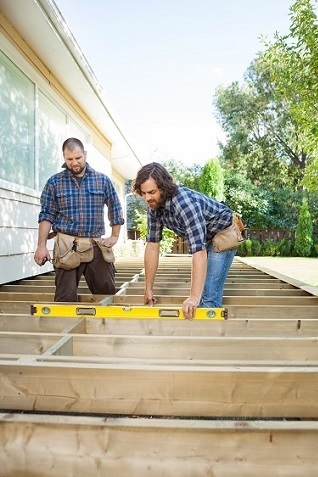 Many homeowners believe they should wait until after winter weather has passed before talking to a deck builder about building their deck project. That belief will increase the cost of your project. There are several reasons your new deck might cost more if you wait until after the year’s end to schedule your free design consultation with Archadeck of Central CT. The first and most predictable reason for higher costs is that manufacturers of construction materials tend to raise their prices in January. We see this pattern every year. 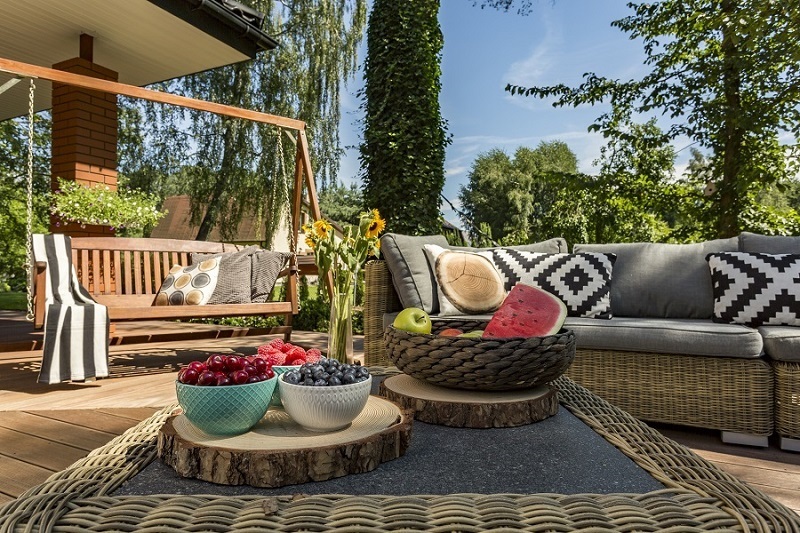 Clients who heed our call to move ahead and meet with us to begin planning now are the ones who will save money on their outdoor living projects. In contrast, if you wait until 2019 to meet with our deck designers, you will likely end up paying higher prices. 2. Gather all your ideas about what your dream deck or other outdoor living project will look like – and all your questions. 3. Meet with your Archadeck design consultant to begin planning the project. Be prepared to answer questions about how you and your family want to use this outdoor living space because your answers will influence the design we create for you. Every deck we build is custom-designed for one client, so each design is unique. 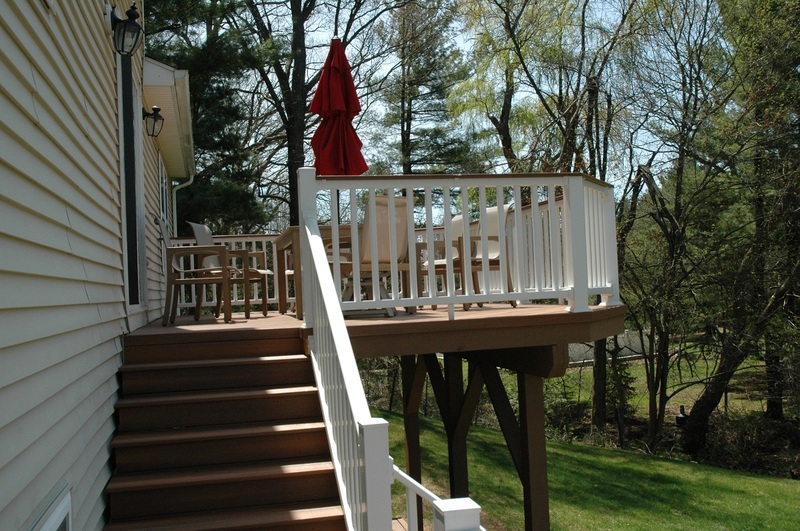 — Fiberon custom deck in Cromwell, CT.
4. Consider the various decking materials available – such as wood vs. low-maintenance composites and synthetic options – and choose the materials you want for your deck and railing. Your Archadeck design consultant will guide you through this process and show you samples of various materials. If your project includes other elements such as a pergola, patio, screened porch, etc., you will need to select materials for each element. 5. Review and approve the professionally-designed plans Archadeck’s drafting team creates for your project. We may take the design through several iterations before we arrive at the final design. 6. Sign a contract with Archadeck prior to December 31, 2018. A portion of the price we agree upon will be payable at signing. Does this process seem too complicated? The way we’ve laid out these six steps may make the process sound more complicated than it really is. What we’ve described are the steps that take place from the time you call us to schedule your design consultation to the time you approve the final design and sign the contract. All of these steps need to take place regardless of what time of year you start your design-and-build process with Archadeck. 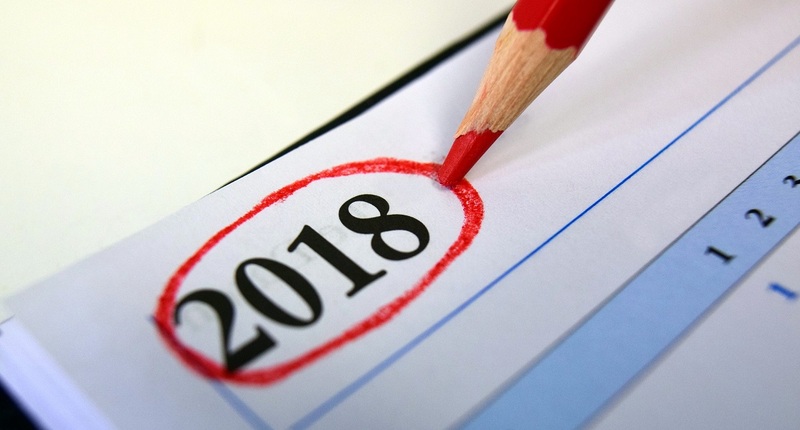 The difference is that if you complete these steps now, and sign a contract before year end, you will save money by locking in 2018 prices. If you already have a deck and want to replace it with new materials, your deck may be a candidate for redecking. We can’t confirm that until we examine your existing deck, including the substructure under the decking boards. In many cases only the decking boards, railing and stairs need to be replaced, and we can use your existing substructure. That’s another way we can lower the cost of a replacement deck! Whether we are starting from scratch or redecking, the process will be the same in terms of choosing materials, approving your design and signing a contract before 2019 rolls in. 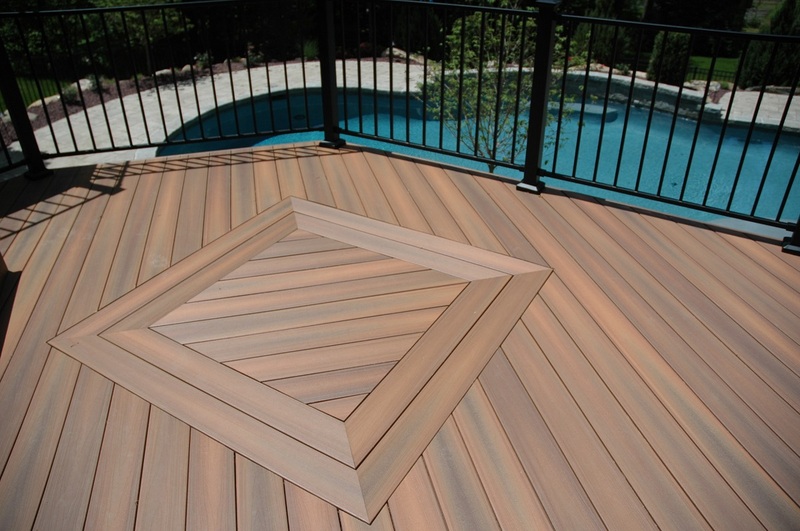 If you are interested in saving money on your new deck or other outdoor living space, contact Archadeck of Central CT today at (203) 793-7142 or email us at a [email protected].